In a 2016 report from the Southern AIDS Strategy Initiative (SASI) 40% of HIV diagnoses were in Deep South states, which only comprised 28% of the U.S. population (2013). 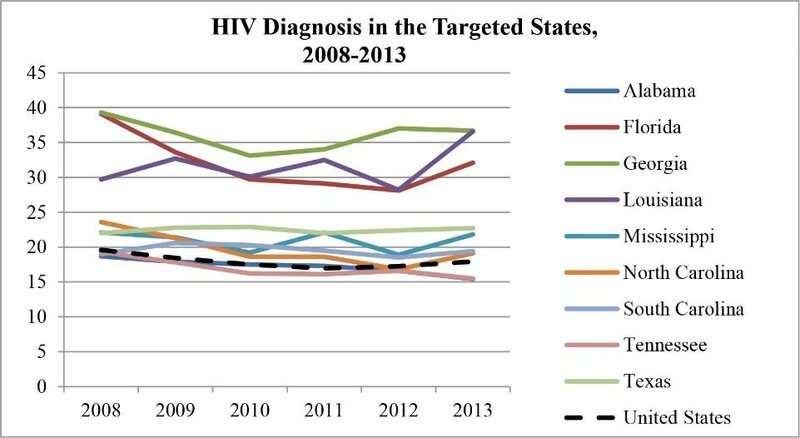 In 2013, of those targeted states, Georgia and Louisiana had the highest HIV diagnosis rates at 36.7 and 36.6 per 100,000 population, respectively. Despite this, Louisiana receives only 2.2% of all Ryan White funding. How that will be impacted by the new administration’s budget priorities will certainly worsen the situation. ​Stigma, poverty, racism, religion and poor healthcare combine to provide a cauldron for HIV infections in the rural south. Despite the fact that Region 8 has the highest per capita rate of new infections, programs and services that rely on Federal Ryan White funding are virtually absent here.